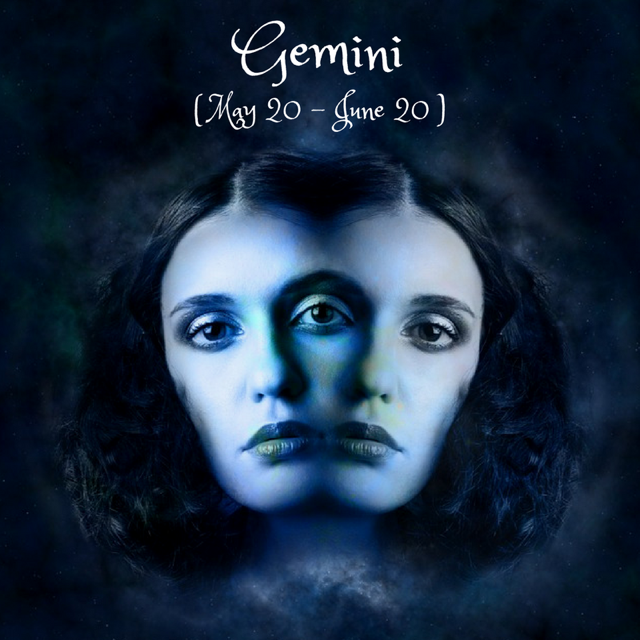 Dear Gemini, Mercury turns direct on the 15th, softening miscommunications or unclarities that you might’ve had since March with your friends or regarding your plans for the future. You’re ready to see things crystal clear again, except- wait- you might feel like you’re not entirely allowed to express your unique mind this month, with the 4th, the 5th and the 25th especially linked to you feeling like you’re “bottled up”. The Aries New Moon on the 15th, though, encourages you to set new bold goals when it comes to your friendships, to humanitarian pursuits or to your hopes and dreams in general, weathering the moody storm that occasionally wants to take you. Saturn is going retrograde on the 17th and Pluto on the 22nd, both in your 8th house of taxes, loans, sexuality, personal traumas and transformation. Until September, life might seem darker than usual, confronting you with parts of you that you’d wanted to bury, sometimes seemingly forcing you to raise unconscious material to the surface. It’s better to postpone any new major loans or intimate commitments and take time to reflect, process and re-work through your inner complexes instead. The 2nd and the 26th might be particularly intense days when you’re called to invest your resolve, your patience and your perseverance to the cause of knowing and transforming yourself, often through your closest relationships. It might not be the easiest time for you, but it’s an opportunity to slowly re-claim or re-build your inner strength. The Scorpio Full Moon on the 29th brings focus to how you’ve been taking care of your health and how you’ve been establishing your work routines since last November. However you’ve dealt with this area of your life is bound to pay you back now. In the same house with Jupiter retrograde, it shows that you’ve still got a few things to work through and to re-design when it comes to your daily routine, your work and your health habits. With your 12th and your 1st houses activated as well, solitude, introspection and harmonious self-expression are important bits for you this month! Are you still recovering after last month’s Full Moon avalanche? Well, there were just two of them, but it was probably enough to mark March as an intense month! April brings a fresh start in our lives. The Astrological New Year started at the Equinox is inaugurated by Aries and continues with the ingress of Sun in Taurus on the 19th this month. This date marks a transition from child-like enthusiasm and lust for life to a steadier, more practical approach, where spring has bloomed with a bang and is now slowing down to nurture and to maintain her progress. Mercury’s had enough of his backwards movement across the sky and is turning direct on the 15th, so no more mix-ups and miscommunications for now, but this has only been child’s play compared with Saturn and Pluto’s retrogradations in Capricorn, starting with the 17th, respectively with the 22nd. These are two of the heaviest forces in our charts, so until September, when they station direct again, things will surely get serious! We’re more likely to see our responsibilities and the structures that we’ve build until now as weighting us down, so it’s a great time to slow down, simplify and restructure. It’s essential now to look inwards for our personal power and for our ability to transform ourselves, reflecting on how we can use inner alchemy to strengthen our will. However, outer circumstances might not always be in our favour: we can get muddled up by delays or obstacles and feel like we’re not moving forward as we’d wish. Don’t despair if you need to take extra time for your responsibilities or if anxiety wants to bring you down sometimes. Everything in the Universe works through cycles and this April-September period is a test to our diligence, strength and willpower. We usually want to dart forward and get it all done, but now it’s best to have patience and to do our inner work in solitude, assessing our progress, separating what is essential from what is not and revisiting the attitude we have towards life obstacles- Capricorn style. On a lighter note, it’s a great season when it comes to love with Venus transiting her home sign Taurus until the 24th, when steady sensuous pleasure turns into curiosity and need for stimulation with her ingress into Gemini. The harmonious aspects that she makes with Mars, Saturn and Pluto this month shout intensity, focus and transformation. The Aries New Moon on the 15th asks us to tune in into the spring spirit with enthusiasm and big plans- it’s a great time to set your intentions for this season! Later on, the Scorpio Full Moon on the 29th brings to our awareness how the efforts we’ve started last November have helped us grown into a stronger, more self-aware and more emotionally mature person, maybe not always through fun and games. Remember these dates for April: the 2nd is a great day for mobilizing yourself and doing all that hard work that you’ve postponed until now, the 4th and 5th might bring forward some extra Mercury retro miscommunication, so it’s best to quiet your mind and speak from the heart instead and the 7th and the 11th might make it easier for you to manifest love and inner balance, with the 11th also provoking your usual patterns to be challenged and transformed. Be careful not to over-indulge yourself on the 17th and remember to keep honesty a must in your relationships- things might get really intense when it comes to love in this period! The 18th might bring a vibe of strangeness and unpredictability, which you roll with best by embracing change and the possible craziness that comes with it. On the 25th, you might re-visit some communication issues that you encountered on the 5th this month, while the 26th offers you almost super-human resources to work intensely and passionately. Finally, on the 29th, things might seem just right with the world, even with the possible setbacks you’ve experienced lately. How will this super-intense April influence you? Read below to find out! Remember to first check your Ascendant sign if you know it, then take a look at your Sun sign as well.